A major barrier to creating art is how to start. 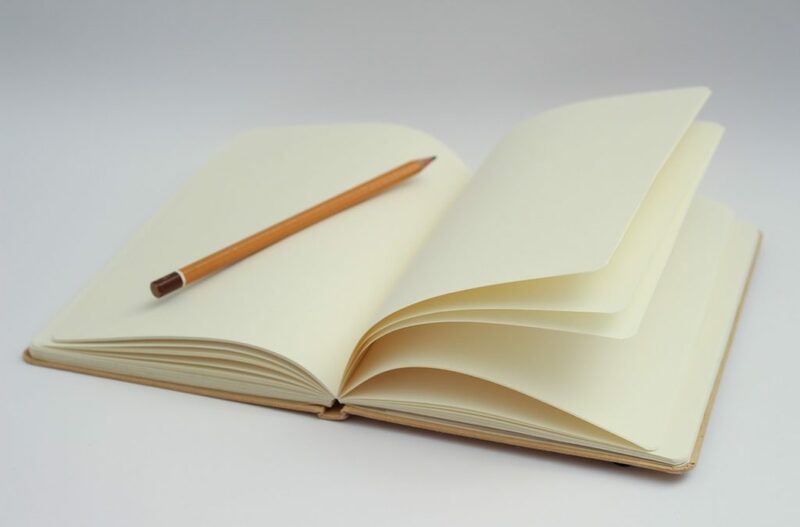 The blank canvas or empty page can seem so intimidating. 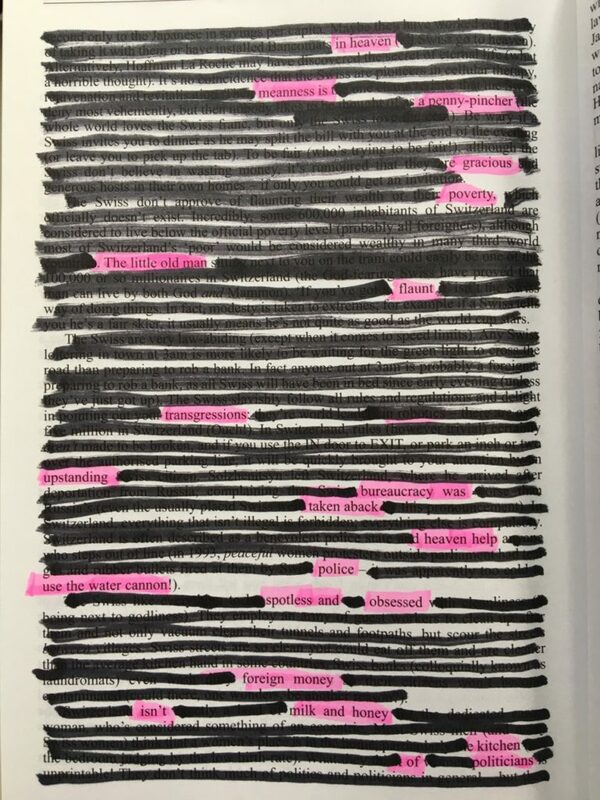 A fresh approach to creating art is called “Erasure Poetry,” developed by Bethany Kaylor of RogueMark Studios in Berkeley. Her idea is to take an existing text and use markers, scissors, and other art supplies to selectively delete words until something new emerges. Bethany led a short workshop on Erasure Poetry for about 20 people today as part of Creative Mornings, a monthly series of gatherings focused on a creativity. Bethany suggested different methods for selecting text. The one she liked the most was quickly scanning a text and highlighting whatever words jumped out at you, then going back and seeing what new phrases or ideas emerged. I really enjoyed this process, which felt intellectually stimulating and challenging. We had a variety of interesting texts to choose from – a Bay Area travel book, printouts of Craigslist ads, children’s books, a stack of vocabulary flashcards. I got a “missed connection” Craigslist ad, that already was rife with emotion and drama. Later on I went home and tried it again with a text I had available to me, an old guidebook for living in Switzerland that I have kept around for some reason. Here’s what I came up with after selecting a page on Swiss culture. It reminded me that in life we are presented with an unending series of images, sounds, ideas, experiences. Memory is selective. Our brain has to choose from that firehose of sensory input something that we can make sense and meaning from. As memories get older, we delete some parts of it, and highlight others. We might not remember the make or the color of our parents’ car when we were toddlers, but we still remember the smell, or the feeling of the seat on our bare legs on a hot summer’s day. We forget what cafe we were in or what we ordered, but we recall the pretty waitress with the feather earrings and her infectious laugh. I am grateful to Roguemark Studios and Bethany for sharing this fun creative process with me. I might borrow some version of this the next time I’m facilitating a group that I want to brainstorm with. This would be really fun to do with a group of teens.